Won’t you have some tea? It turns out that I’m really predictable… who on earth would have thought it?! 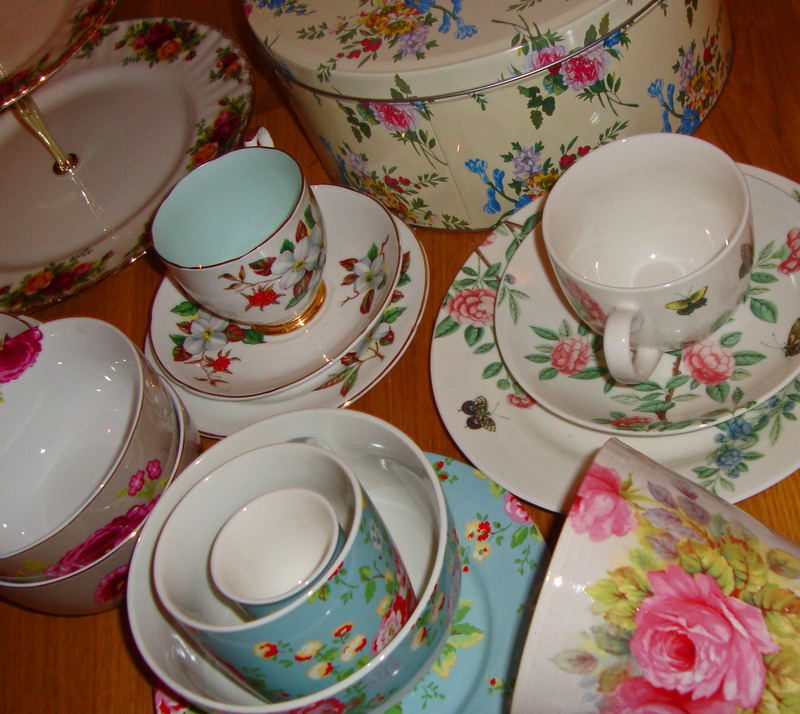 But the sheer volume of floral kitchen ware that I’ve been given in the past 6 months has made it painfully clear…. The tea set with the duck egg blue interior and the gold rims is the only thing I bought myself. £15 on eBay. Such a bargain. I love it to death. 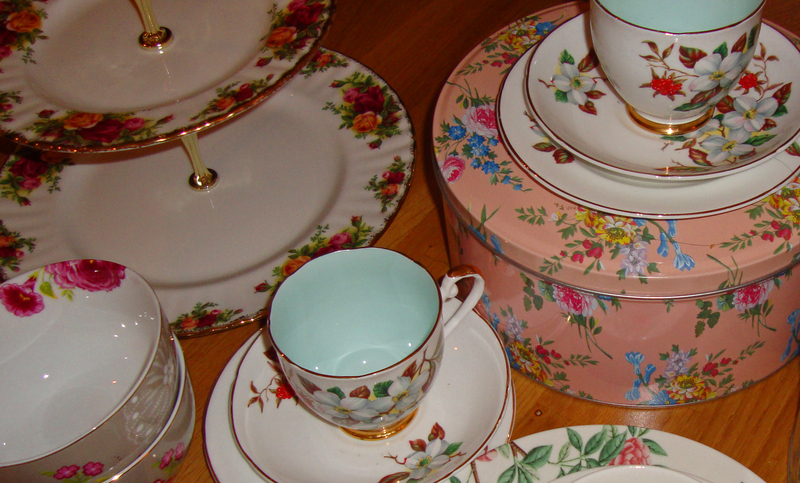 The floral and gold edged cake stand = housewarming present from MummyApples. Who knew she had taste?! She’s a good egg. V&A cake tins = Christmas pressie from Jacq. 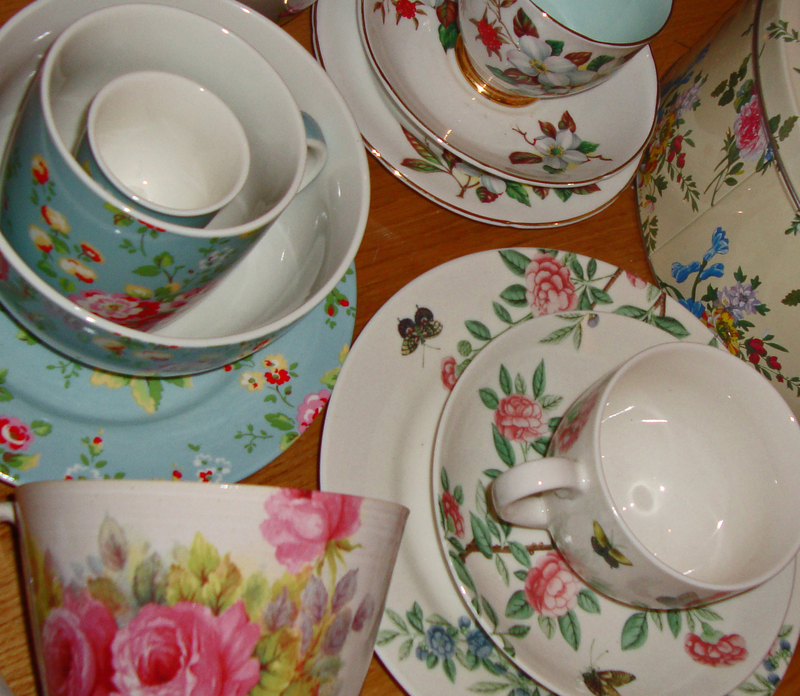 Blue Cath Kidston breakfast set = birthday pres from Bonk and Nick. 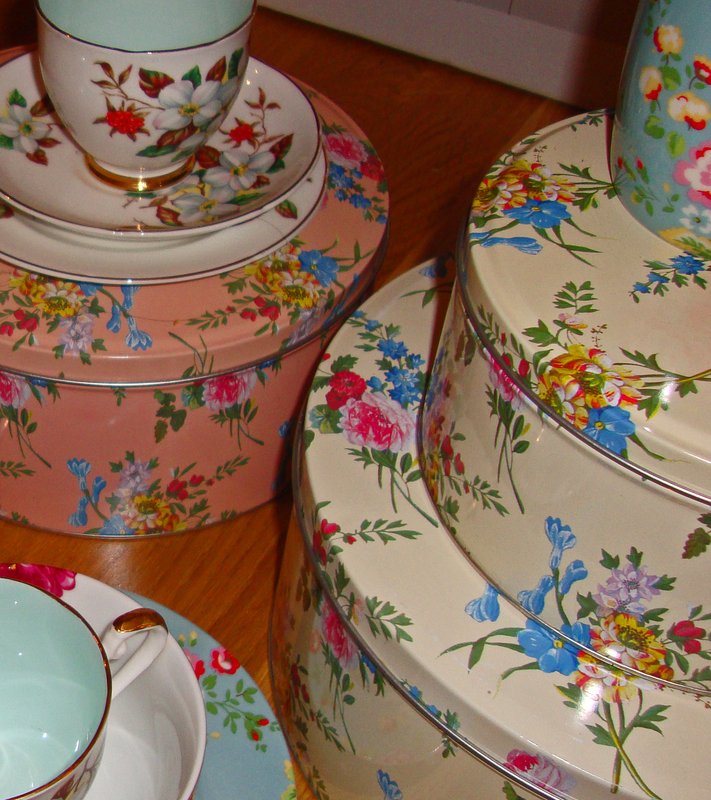 It comes with an egg cup and in a cute, floral lunch box which is now the prettiest first aid box ever. 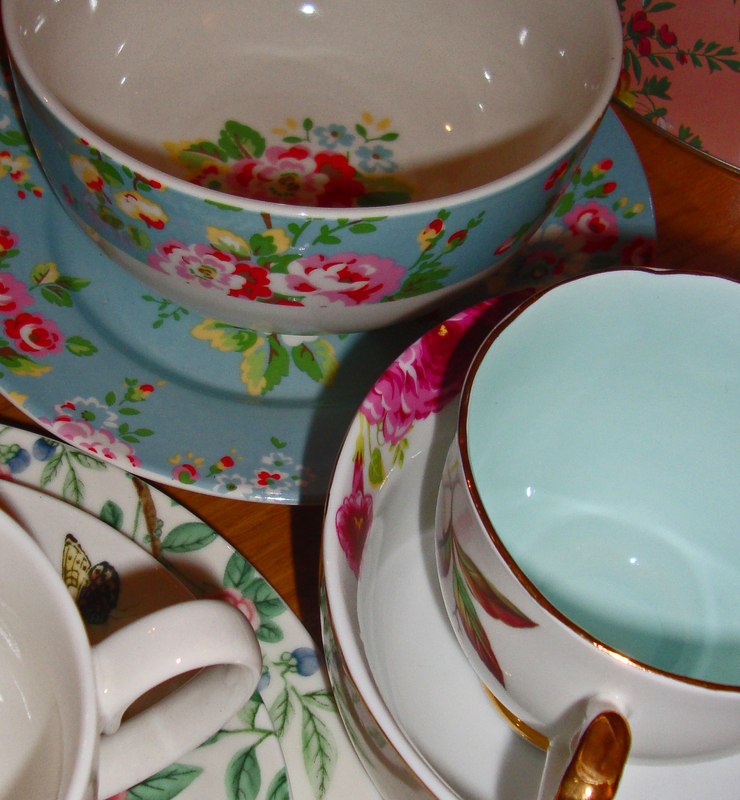 Gorgeous buff and pink floral Oliver Bonas bowls (front left) from Hannah. This gorgeous hand-made mug from my favourite Swede, Fia, is my new favourite for green tea. It’s huge too, so I don’t have to keep refilling. Somewhat unsurprisingly, Olly isn’t quite so enthusiastic about all of this… in fact, I think he sorely regrets moving in with me. Too late!! And just think how awesome my next tea party is going to be?! 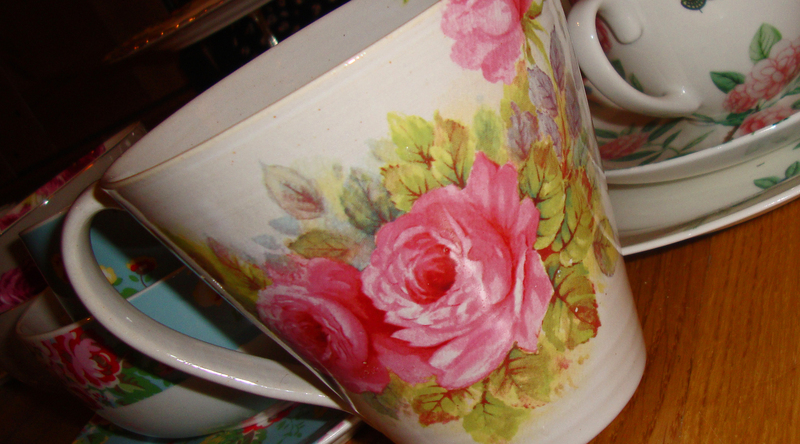 I’m a little disappointed now, although everyone around me knows I love tea, I don’t have any pretty tea sets! I’m jealous of your collection though, especially the one you bought from eBay!